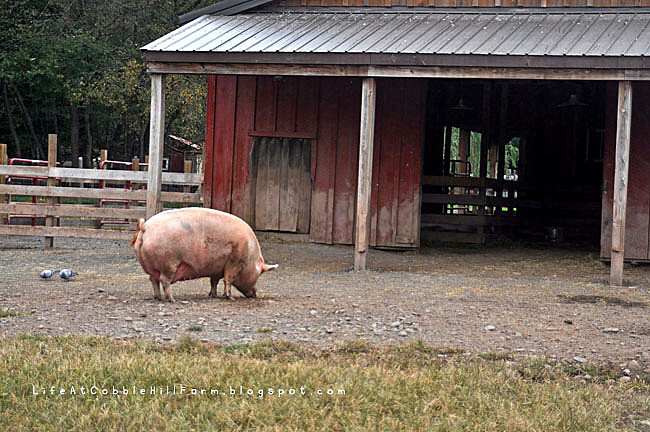 My "weekend" post today is dedicated to our trip to the Woodstock Farm Animal Sanctuary in Woodstock, New York. Yes, THE Woodstock, NY. I had read about this place a year or so ago and had forgotten about it until recently. Jay and I are taking a mini vacation to do some day trips and this was the kickoff of our vacation. Woodstock is about 2 hours away from where we live. It's a very cute little town full of artists, galleries, shops and restaurants. 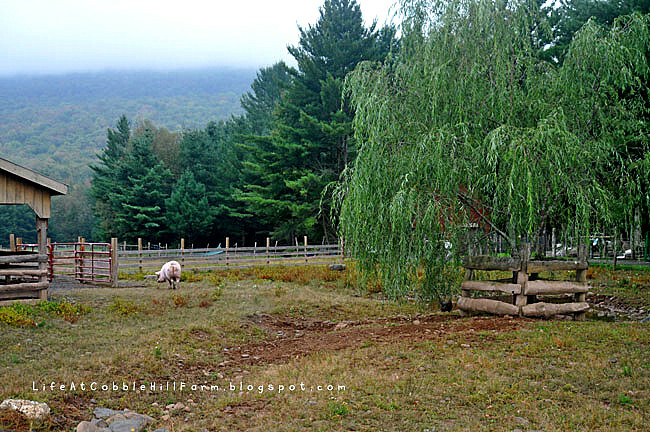 The Farm Animal Sanctuary is actually in a town called Willow, just outside of Woodstock. 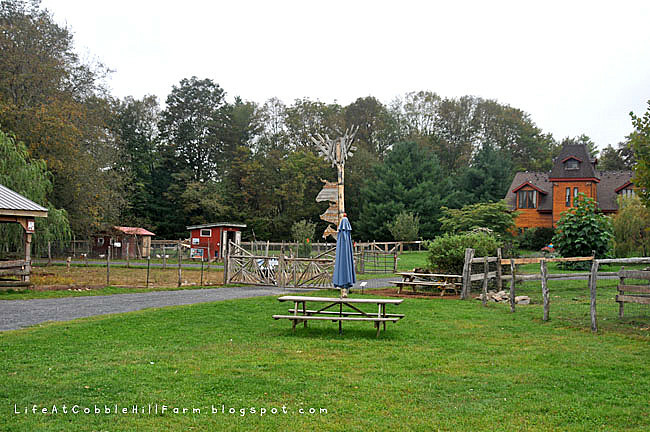 The sanctuary is home to sheep, cows, a mule, pigs, chickens, roosters, ducks, rabbits and goats. It's a beautiful place and the volunteers and staff are extremely nice. Jenny and Doug, the founders who live on the property in the house in the background of the first photo, started the sanctuary in 2004. 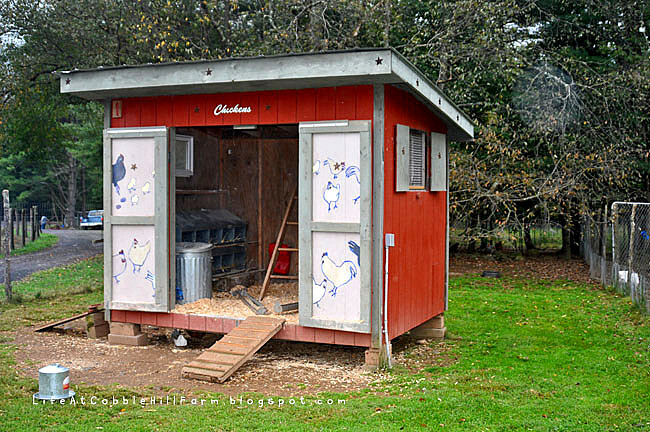 They take in abused, neglected, and abandoned farm animals. I guess it's easy to take for granted that there must be someone out there who can care for the farm animals who are in need of a good home, but after reading about their sanctuary and visiting it makes sense - there just aren't enough people willing to take in a goat missing a leg or a chicken who struggles to walk, or a sheep missing a leg, etc. It was an eye-opener in more ways than one. I do not mean for this next thought to sound rude or disrespectful in any way, but I was amazed at how many of the 17 or 18 people on our tour had no idea about the care of animals in factory farms. Many were completely astonished as Mike, our tour guide and volunteer at the sanctuary, spoke about the conditions some of the animals lived in prior to their move to their new home at the farm. I guess I thought everyone had an understanding of the abuse and neglect that takes place but, as my husband later pointed out, many may try to ignore the facts because it is so disturbing. I guess I get that. The staff and volunteers are all vegan and, although it's a topic of discussion, they certainly don't push their beliefs on the visitors which I found very kind. They try to educate when questions arise but left it at that. 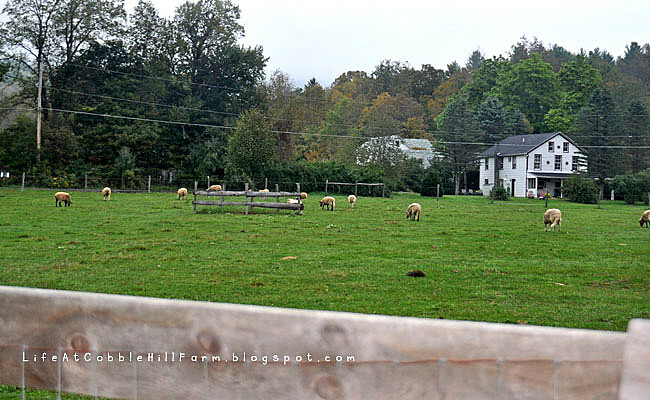 It was a wonderful visit, although I did not get many photos because it was overcast and then rainy, but it was a beautiful property with very clean and well kept outbuildings and pastures. It's something I could see Jay and I doing on a smaller scale once we have a larger property. I must say, I absolutely fell in love with the ducks and with Dianne, the mule. Dianne wanted to come home with Jay and I. She followed us everywhere including trying to exit through the gate with us. I whispered to her that if she felt she could fit in a Jeep Cherokee I'd love to take her with me. Apparently she thought she could because she walked toward the gate as though she was there on a visit and ready to go home to Cobble Hill. When they stopped her at the gate and wouldn't let her through I promised her we'd be back to visit again. We most certainly will. Looks like a lovely way to spend the day. Can you believe there are still so many people who are unaware of the treatment of animals? I'm glad a few folks there were enlightened. 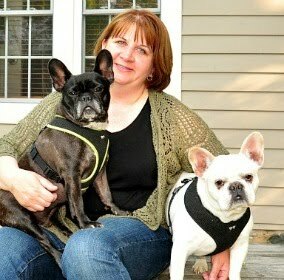 Love your pictures, and Diane sounds like a sweetheart! Even overcast, your pictures are lovely. I found myself explaining to my Dad, just last week, why I won't eat eggs from a commercial hatchery. 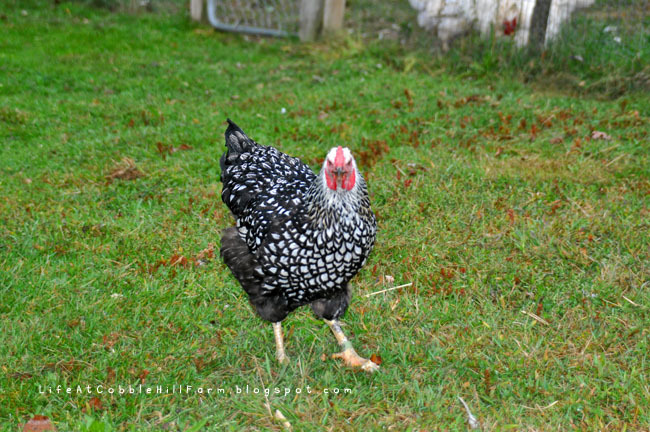 I buy free-range from our local Amish mkt. I'm pulling for you to have that larger property some day! !